The people of Boomdeling Gewog in Trashi Yangtse say there is a need for motorable bridges over Tshaleng and Nagpola streams. The bridges over the streams were washed away by a flash flood in June last year. For now, people drive through the stream in Tshaleng, while the Dzongkhag has constructed a temporary wooden motorable bridge in Nagpola. In winter, it is not a concern but these measures would not work in summer when the water level rises. “Since it is winter, it is not much of a problem in Nagpola, but during summer we will need a bridge,” Rinzin Dorji from Boomdeling said. “There are the people of over 250 households, armed personnel and forest officials who use the Nagpola Bridge on a daily basis,” Boomdeling Gup Mani Wangda said. “There are no signs of re-constructing the bridges and this worries me a lot,” the Gup added. 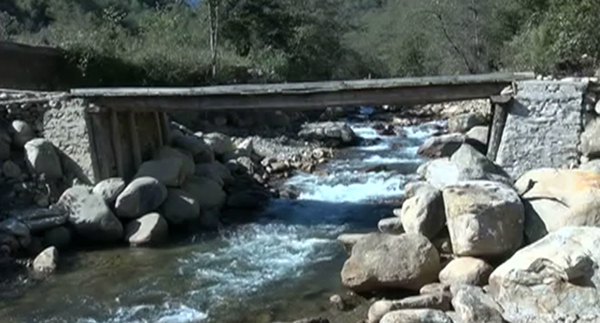 The Department of Roads says a bailey bridge will be constructed in Tshaleng before monsoon. However, the gewog is skeptical on the construction of Nagpola Bridge because of budget constraints. “About Nu 90, 00,000 are required for the construction of the bridge in Nagpola and Nu 30, 00,000 for the one Tshaleng-gang. We have submitted the estimation to the disaster management and they said we will need to allot if from our plans,” Gup Mani Wangda said. Last year’s flash flood damaged three Reinforced Cement Concrete or RCC bridges, paddy fields and irrigation canals in Boomdeling.